When Gemma and Andrew of Darwen, Lancashire, United Kingdom, realized that their house had been broken into, they were rattled. 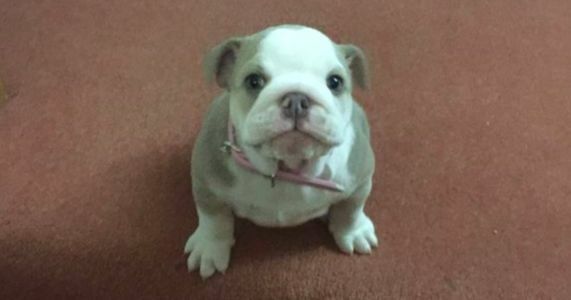 When they realized that their 12-week-old puppy, Wilma, an English bulldog, had been stolen, they were even more worried. But it was later when their entire family was greeted with a grisly sight. Just two days after the burglary, Gemma went to her garden gate to find their beloved Wilma hanging by a wire noose. Whoever had taken her had come back and left the family of five some sort of disgusting message. Gemma and Andrew tried to resuscitate the pup but it was too late, the damage had already been done. Now, their three kids are so disturbed by their pet's murder that they no longer even want to live in the house. Who would do such a disgusting crime? The family had only had Wilma for three short weeks, just a fourth of Wilma's short and tragic life. Now authorities say they are on the lookout for Wilma's killer. But even if that is the case, we know all too well that sometimes crimes dealing with animals often get pushed aside. That's why it is so important we tell Lancashire Constabulary that we hope they continue the search until they find the cretins who did this. Sign to show your support. Demand #JusticeforWilma.